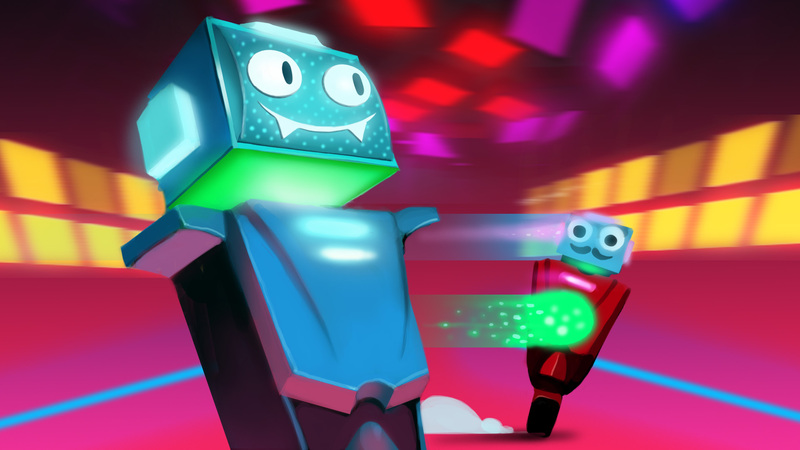 Disco Dodgeball is a physics-based sports FPS where you race unicycle robots around a dance club and nail each other with bouncy projectiles. Dodge, deflect and catch enemy fire as you perform ridiculous aerial stunt shots. Play a wide variety of classic, expert, and custom game modes online, in split-screen local multiplayer, or solo with bots. 21 different multiplayer modes & solo/co-op challenges to test your skills and teamwork - like Hoops, Grand Prix racing, and of course classic Elimination. Online multiplayer servers provided at no extra cost. Easily create your own public or unlisted online rooms without any server knowledge required. 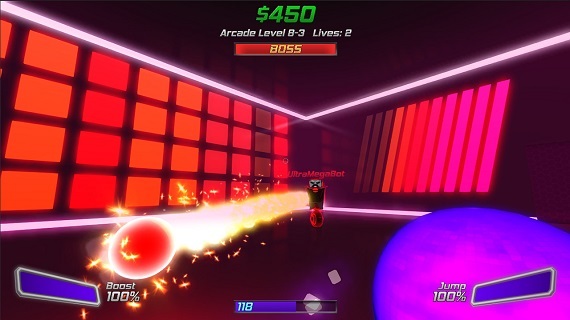 Powerups like Jetpacks, Huge Dodgeballs, Laser Balls, and Boomerang Balls. Pick them up randomly or enable as permanent arena modifiers. Co-op challenges that let you team up with friends, equip scenario-specific powerups, destroy bots and aim for leaderboard high scores. Random loot drops that you can craft into rare cosmetic items, trade with other players, or sell on the Steam Marketplace. An amazing electronic music soundtrack and playback of audio files from your own computer. Arena lights pulse dynamically to the beat of the music. Still being regularly updated with new content and features based on community suggestions! 2. After the payment, you will receive an instant link for a Steam gift. 3. Log into Steam, then copy the link and paste it into your browser. Then press to accept the gift.